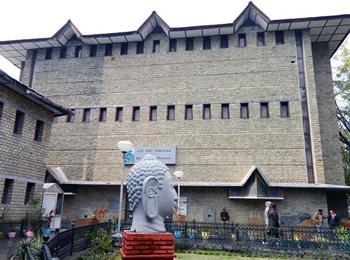 Founded in the year 1908 to honour Raja Bhuri Singh, Bhuri Singh Museum is located in close proximity to Chaugan town of Chamba. Initially this museum was started with the paintings added by Raja Bhuri Singh but now it includes rich collections of items like carved doors from the old palaces, copper plate grants, frescoes, miniature paintings, and many other items of the historical period. The Prasastis of Sarahan, Mul Kihar and Devi-ri-kothi are in Sarda script, recollecting the major facets of the medieval history of Chamba. You can also enjoy seeing the paintings of Basohli School, showing the scenes from the Ramayana and the Bhagavata Purana. Some of the antique items of the museum include coins, arms and armor, jewelry of the region, royal costumes, decorative items, musical instruments, etc. 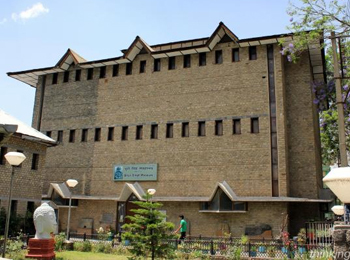 If you are keen to know and understand the entire history and culture of Chamba, this museum is a must visit place for you. It remains open on all weekdays from 10 AM to 5 PM, except Mondays.